Welcome to our Garden Pavers Section! Gardens make outdoor areas not only attractive but functional as well. They are attractive because they make the outdoors visually appealing and functional because they make certain spots ideal for some social activities, as well as rest and relaxation. So with carefully planned paved areas in the garden, you can enjoy great bonding moments with family, friends, and guests. But before you get to enjoy such benefits, you should first choose the right garden pavers for your outdoor. These pavers can be used in different areas in your outdoors, particularly in entertainment areas, pathways, garden surroundings, driveways, retaining walls, and garden beds. The wide application only means that garden pavers are highly versatile materials that can be used in other areas around a property other than in gardens. Additionally, garden paver units are also known to be easy to clean and maintain, and can also be repaired or replaced easily. This means that you won’t have to spend too much on maintenance costs just to continue enjoying all the great benefits that they can provide. If you wish to learn more about the great benefits of using garden pavers for your property, then watch these videos we’ve created for you. Walkways. Walkways can be made extra attractive with elegant garden paver types, such as bluestone, flagstone, and concrete pavers. Garden walls. By using the appropriate paver, you can enjoy garden walls that are stunning and long-lasting. New functional areas are also created by these walls. Driveways. Driveways can be made focal points by using premium garden paver materials like concrete and flagstone. Patios. Garden pavers can also be used for your patio projects. Bluestone and granite are just some of the common choices, but concrete is another popular option because of the different designs available. Pergolas. Create pergolas that would guarantee relaxing moments with high quality pavers like bluestone and granite. Almost all garden pavers are guaranteed easy to install, so you won’t have to spend a fortune on man hours or labor. You could likewise expect to quickly enjoy all the benefits that they can provide since they can be easily installed and completed. Meanwhile, if you want to have an eco-friendly paved garden area, then choose permeable or pervious pavers. 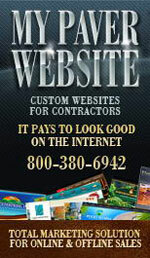 They will help minimize water run-off and, at the same time, improve the aesthetics of your outdoor area. Browse our gallery to find photos of the different uses and benefits that garden pavers can provide. 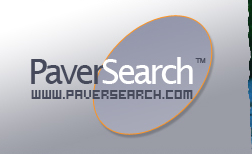 Below is a list of Garden Pavers Resources throughout the United States.